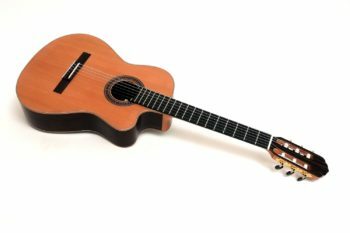 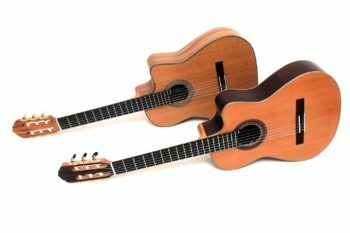 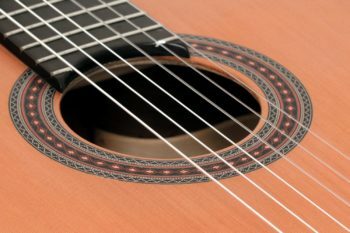 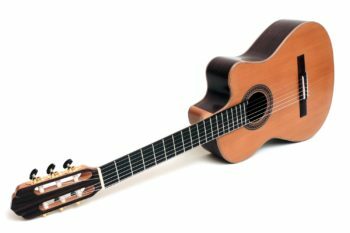 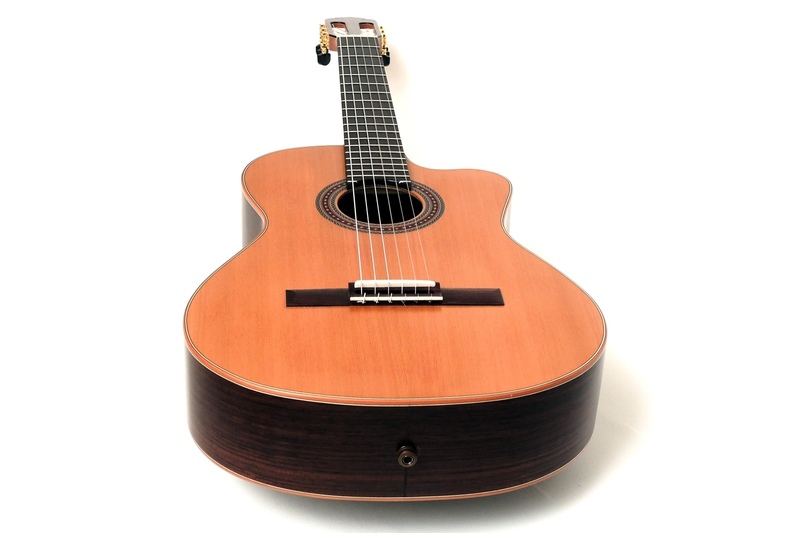 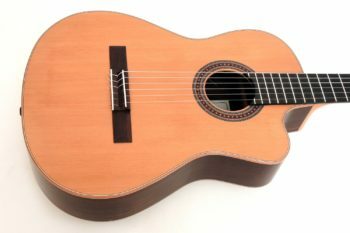 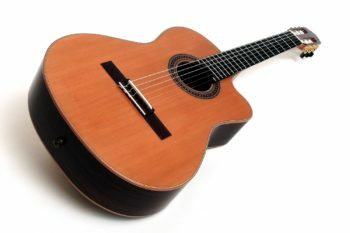 Premium nylon string guitar with cutaway. Despite its traditional and classical appearance, this guitar is more suitable for modern playing styles. This guitar looks quite harmless and typically classic, if you ignore the cutaway, but the appearance is deceptive. 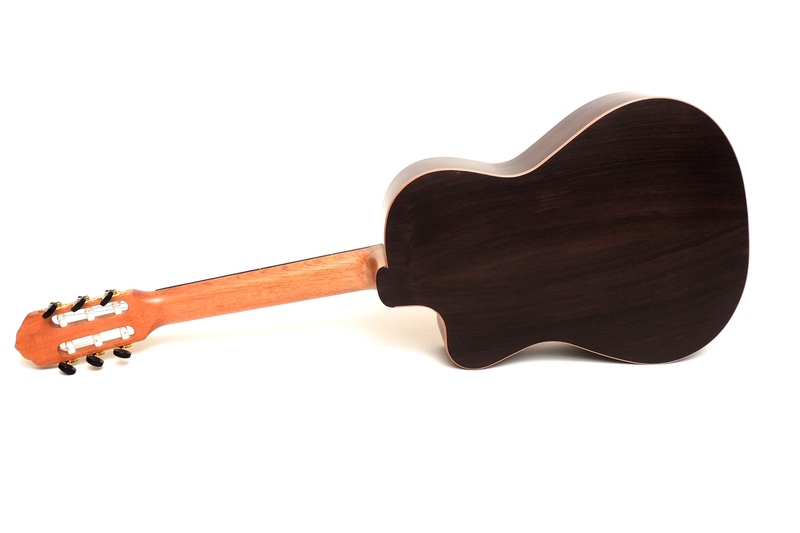 Its interior is based on the design features that we usually apply to our model Alegra to make the guitar fit for modern playing techniques. 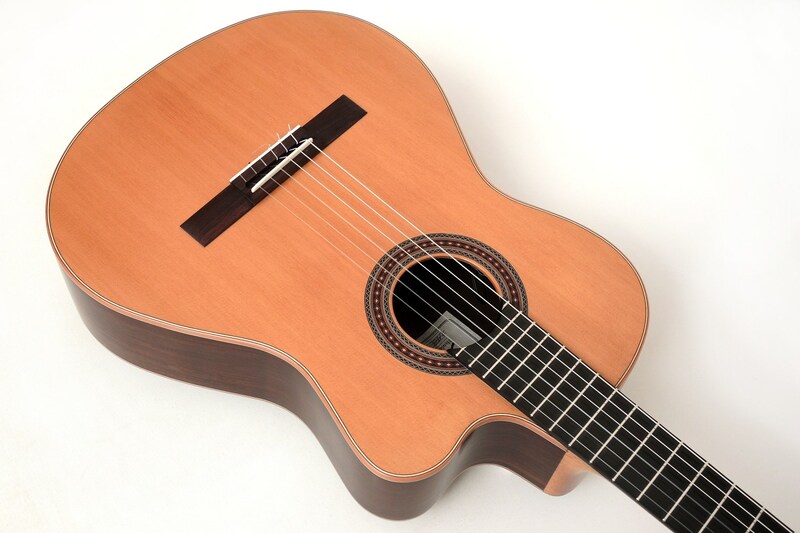 Classic Line I or Alegra? Below we depicted two photos of both models side by side to compare the body shapes. 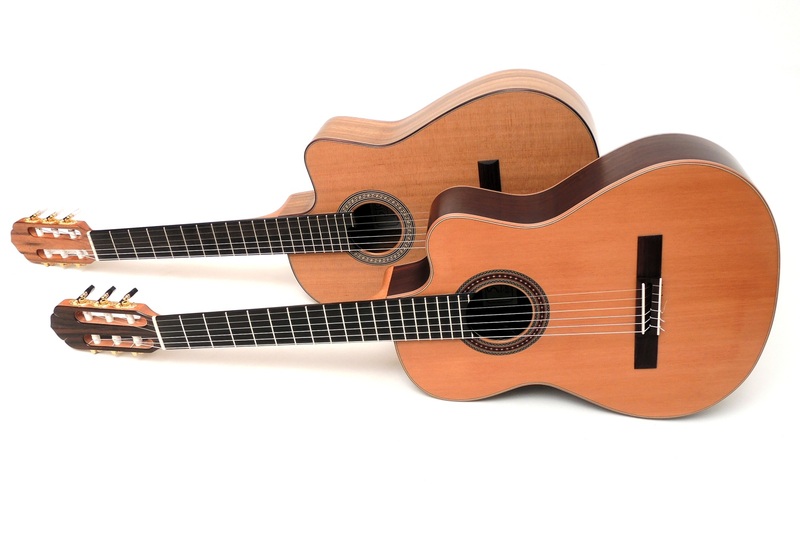 A closer look reveals that Classic Line I has a more pronounced waist than Alegra . 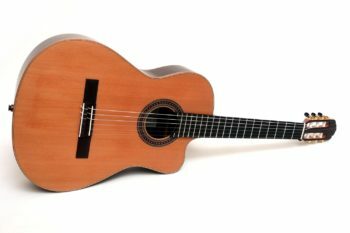 In comparison to Alegra the sound is altered to finer highs and a little less accentuation of the upper mids. 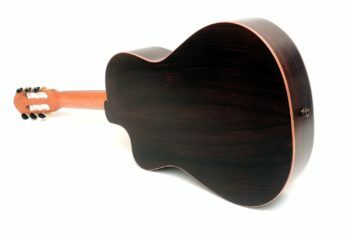 "Classical" Indian Rosewood for back and sides as well as a Cedar top are chosen woods. 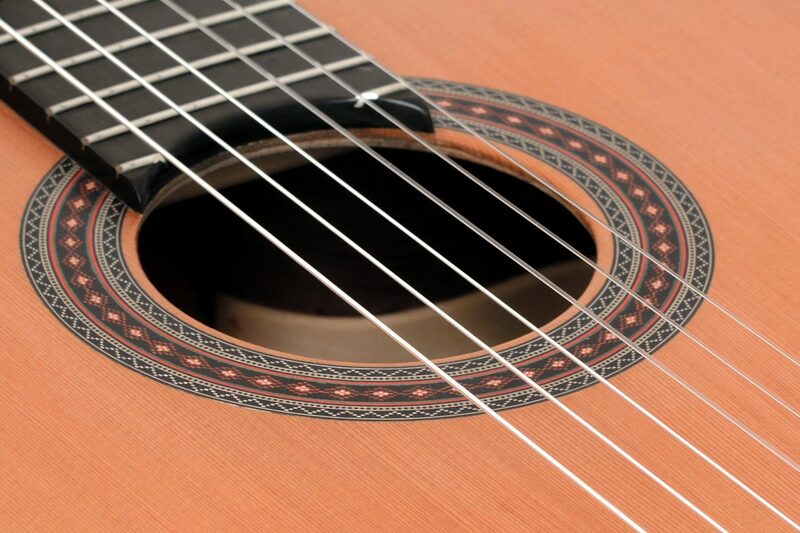 For acoustic amplification, an L.R.Baggs Element Classic pickup was installed.